See the Night Sky Up Close with U.P. Astrosoc! Are you an astronomy enthusiast? Do you love the night sky? Want to know more about the Moon, stars, planets and other heavenly bodies? The University of the Philippines Astronomical Society (U.P. 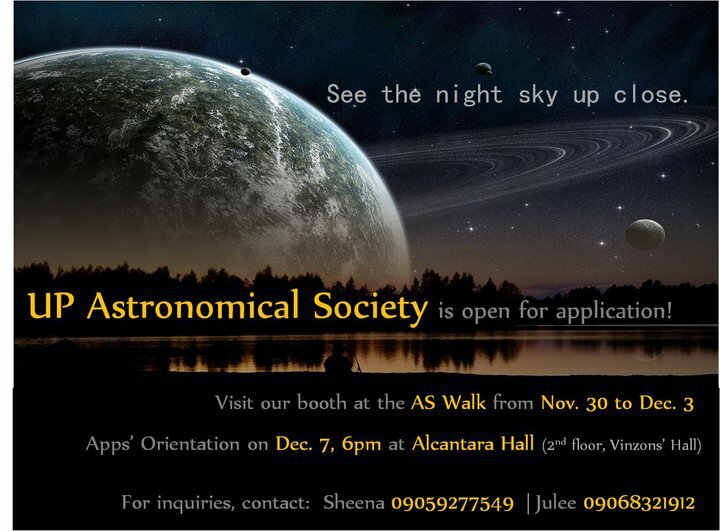 Astrosoc) is now accepting applicants for the Second Semester A.Y. 2010 – 2011. 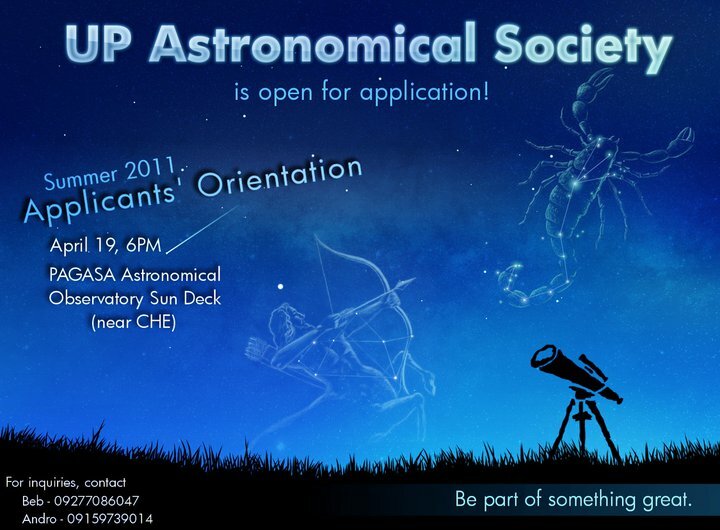 Interested students of the University of the Philippines – Diliman are welcome to be part of this premiere university-based astronomical organization in the Philippines that has continued to promote astronomy to students and to the general public through its educational activities, public outreach, lectures, observations and other programs for almost 20 years now. Learn fun facts about astronomy and get to know cool people that would guide you in exploring the sky. Like the U.P. Astrosoc’ fanpage using your Facebook account to get updates on the latest in astronomy and news about the org’s activities. 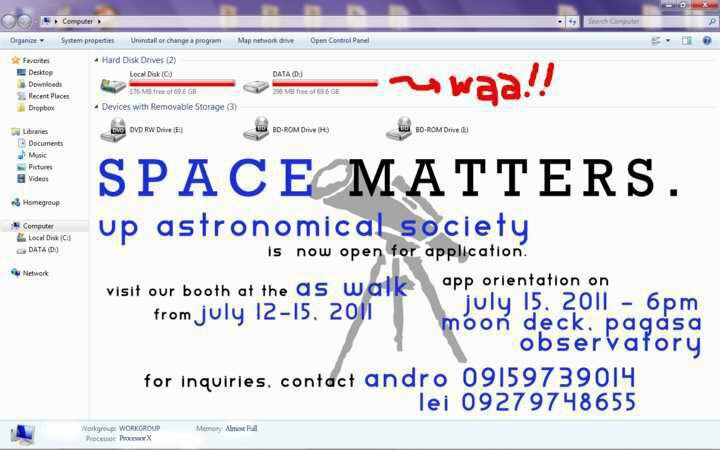 Applicant’s orientation will be on July 9 and 13, 6pm at the PAGASA Astronomical Observatory (near CHE). Below is the org’s cool audio-visual presentation, featuring its members, for the applicant’s orientation last year.